You spend time creating great content that you believe is engaging and confident it will convey your message to your audience. But after you publish, how do you know who is viewing it, how often and how long it is being viewed for? 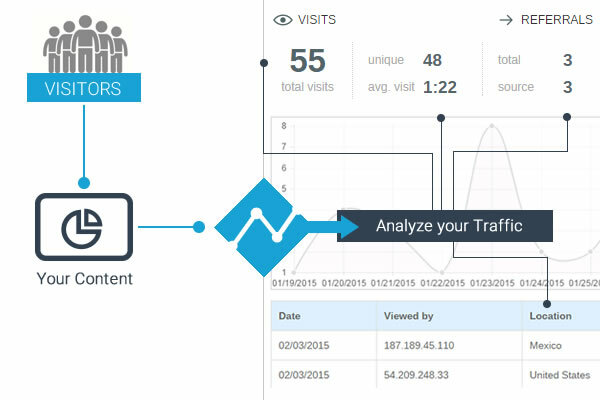 Collecting and analyzing visitor metrics is imperative to online content. 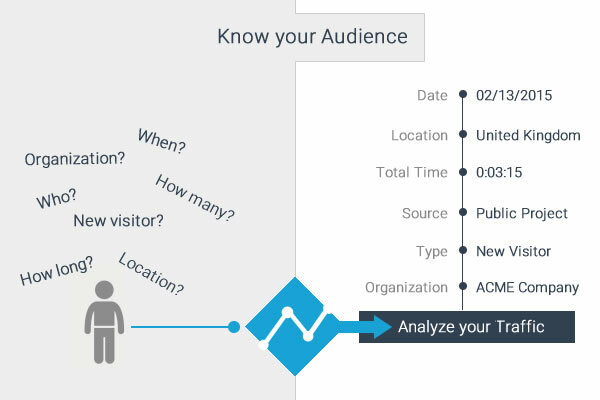 You need to know who viewed your project and if you are pushing visitors through external avenues (ex. marketing and social media) to measure whether it is working for you or not. 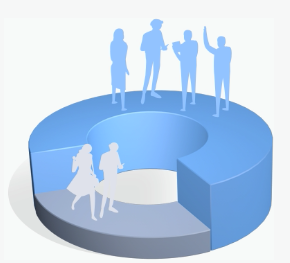 This is the problem with most Presentations and infographic programs. You create your content but then are left completely blind to its engagement level. This is why we launched a complete analytics tool within Visme, so you can track traffic down to the region the visitor is coming from and how long they spent viewing your content. Let's take a closer look and make sure to checkout the video on this feature. With release of our analytics feature you can now fully track the traffic on all pubic projects. This will allow you to gauge the effectiveness of your projects over any given period of time. Actually this is analytics for any project you create within Visme, not just limited to Presentations or infographics. 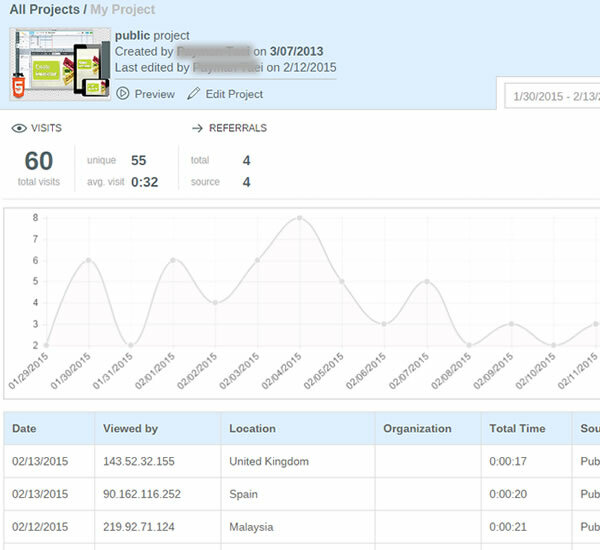 In fact even if you embed your Visme to your own website, you can still track the traffic of your project. When a public project is viewed, Visme will detect the location the user is coming from including their country and IP address as well as the length of time he/she spends viewing your project. These analytics are gathered and visualized into simple and easy to understand table and graphs available via your Dashboard area. The metrics are collected by each project, so you can have granular details and make more informative decisions at the project level. 1). Login to your account. 2). 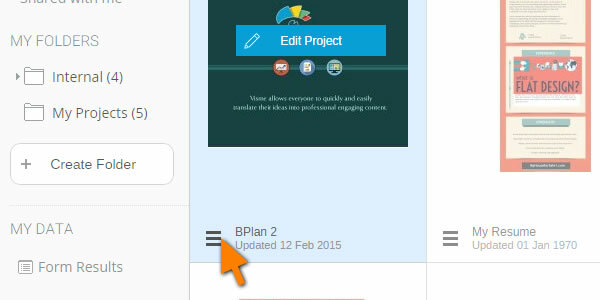 Click the Menu option on bottom left of your project. 3). Click the "Analytics" option. 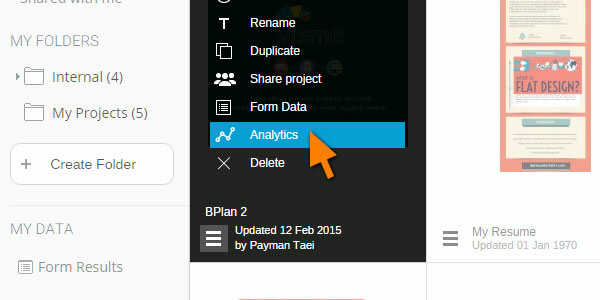 View your analytics data and filter by date range as needed. Total Visitors: Shows the total number of people that have visited in a given period of time (includes repeat visitors). Unique Visitors: The unique total number of people that have visited in a given period of time. Referrals (Total): The total number of sites/sources traffic has flowed from. Referrals (Source): The number of different (unique) visits were generated from. Date/Time: The Date and time of each unique visit. Duration: The length of time the visitor viewed the project. IP Address: The unique IP address the visitor came from. Location: The country the visitor came from. Total Time: The duration of the individual visit. Source: The type of source for project. For example if project is embed to a website, Visme can pick-up if it was a embed project or if it was Public project (visible to others), etc..
Analytics is available with Visme complete plans that start at just $16/month. Payman Taei is the founder of Visme (he doesn’t like using the word ”CEO”—it’s way too formal), a DIY platform that allows everyone to create and manage presentations, infographics, reports and other visual content. He’s also the founder of HindSite Interactive, an award-winning web design and web development company.